We are working on a SIPS install in Plymouth, VT right now. We will be doing another panel install in a couple weeks in Plymouth as well. 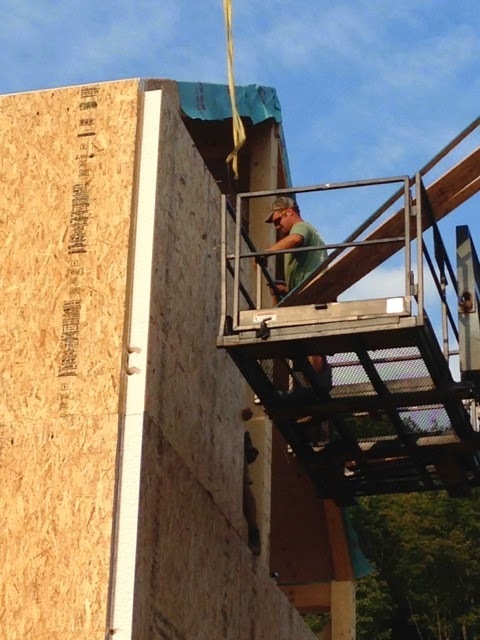 Give us a call if you would like to check out Structural Insulated Panels installed over a timber frame!